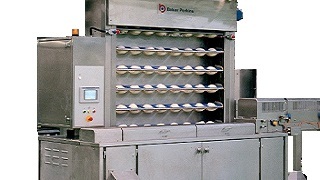 The First Prover accepts dough pieces from the Conical Rounder and relaxes them prior to final moulding. Removing stress from the dough ensures that it can be moulded without tearing and will prove and bake evenly. 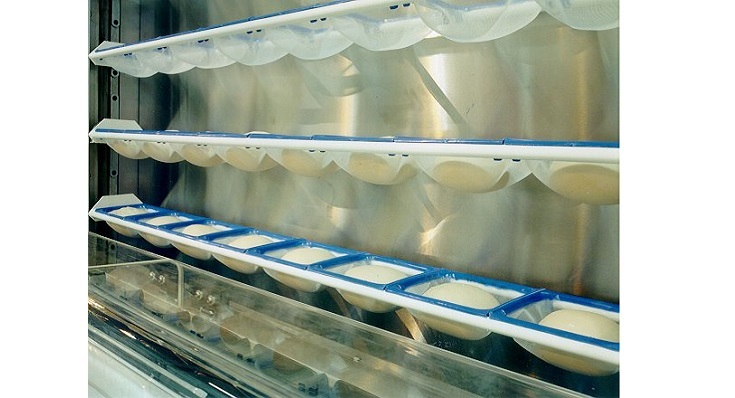 Using a First Prover enables the resting to be carried out in a controlled, hygienic environment that preserves the rounded shape and provides a well-controlled feed to the moulders. The unit is compact, hygienic and easy to maintain from floor level. 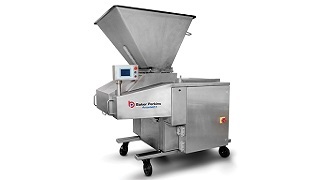 Dough pieces are carried through the prover in swing trays that are divided into individual pockets to keep them separate. 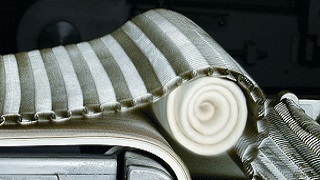 They are guided into the pockets by a synchronised loading system that ensures there are no gaps and no doubles. The pockets maintain the dough piece shape for presentation to the moulder. 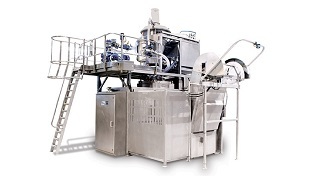 The enclosed system maintains the dough in optimum condition. 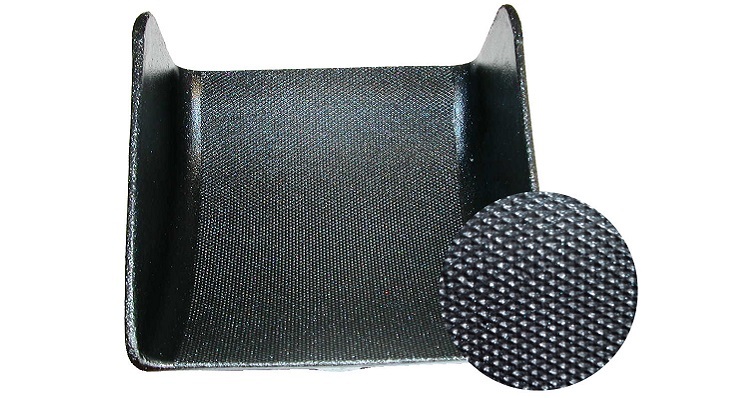 The easily removable pockets are metal detectable and made from a washable plastic mesh which facilitates clean and reliable discharge. An air blower dries the parts in contact with the dough to prevent sticking and an extractor fan reduces humidity build-up. 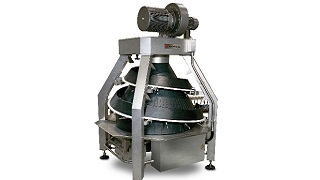 Output from a single prover can range up to 9,200 pieces per hour. 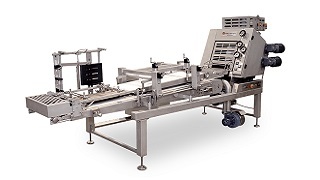 The machine can be configured to suit any bakery layout, and the small footprint uses minimal floor space. 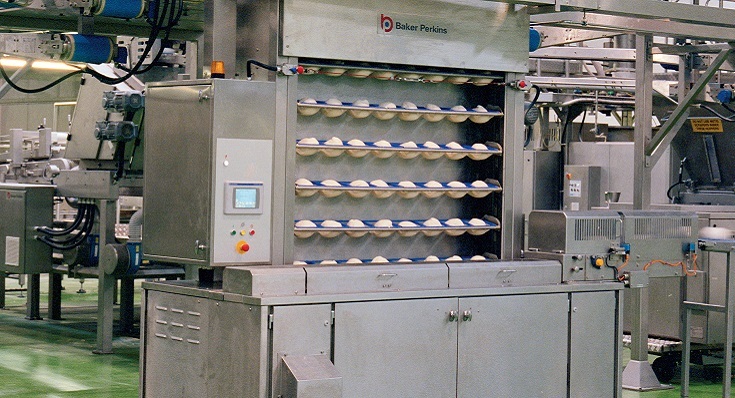 Discharge may be arranged on either or both sides to suit the bakery layout.